Quiet, the sniper unable to speak from Metal Gear Solid V: The Phantom Pain is recreated as 1/6 scale statue. Her powerful feminine pose contrasts beautifully with the long and hard sniper rifle in hand. All of the details have been faithfully captured from the smallest bolt on the rifle to the ripped sheer tights on her legs making this an incredibly realistic piece of art! The head is interchangeable with the butterfly mark face. The knife and handgun are detachable from the statue along with the sniper rifle which can be displayed with or without the suppressor. All her beauty marks are faithfully painted as seen in the model sheet. The display base features the motif of the Aabe Shifap Ruins where she tried to capture Snake. The statue is available now, and is priced at $289. you can order it by clicking Here. Fans who purchase Quiet and the upcoming Venom Snake will be able to send away for the free DD Puppy. The deadline has been extended from December until February 23rd, 2017. You can see those details Here. Gecco sent one along a Metal Gear Solid V: The Phantom Pain – Quiet 1/6 Scale Statue for us to check out. We have a full review and over 60 high resolution photos to check out. Fans of Gecco’s Metal Gear Solid Statues will have a chance to grab a special free gift. If you pre-order the upcoming Metal Gear Solid V: The Phantom Pain – Quiet 1/6 Scale Statue as well as the Metal Gear Solid V: The Phantom Pain – Venom Snake 1/6 Scale Statue (details coming soon), you will qualify for an in scale Diamond Dog Puppy. When you pre-order Quiet and Venom Snake, you will receive an application for the DD Puppy. At a later date, Gecco will announce how to redeem the applications. You can read on for the images of the Diamond Dog Puppy, our first look at Venom Snake and the flyer with details. We’ll update with further details when they become available. You can see a full selection of images after the jump. 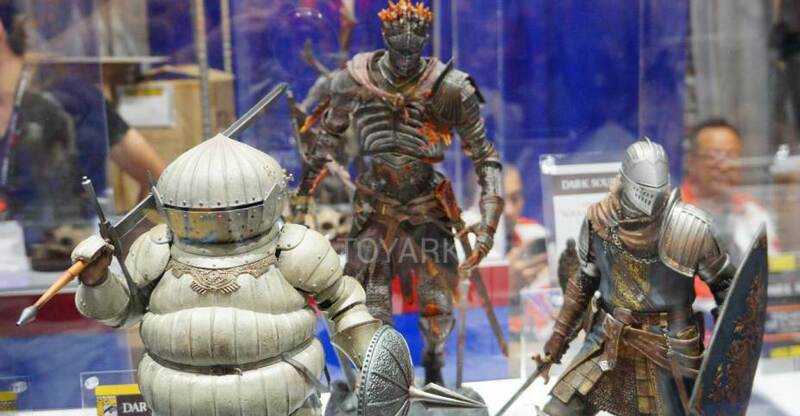 Final images from the Square-Enix booth from this year’s New York Comic Con – more video game characters! This time, from Metal Gear Solid V, we have Solid Snake and Venom Snake! From Rise of the Tomb Raider we have Lara Croft. And last but not least, a brand new Master Chief from the upcoming Halo 5 video game. Check out the images after the jump! Last month, we shared the first official pics of the Play Arts Kai Metal Gear Solid V Quiet Figure. Now Square Enix has released a few more images and more info on the figure. 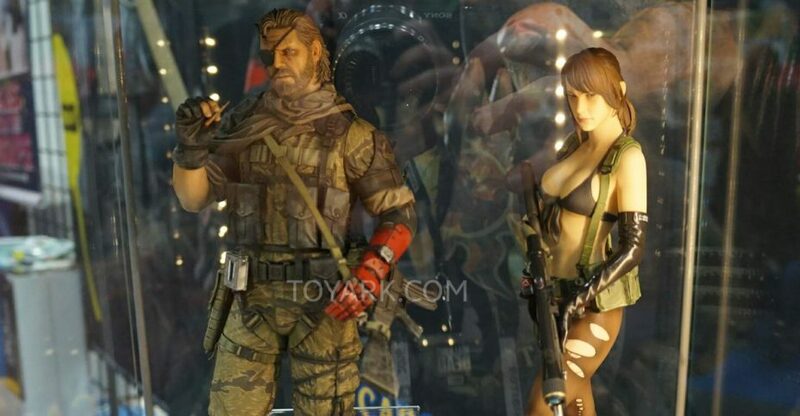 Quiet will include an extra interchangeable head, three interchangeable hands, a sniper rifle, a handgun, a knife, and a figure stand. The figure is scheduled for release in May at a price of 9,800 Yen (about $89 USD). Check out the first official photos of the upcoming Play Arts Kai Metal Gear Solid V Quiet Figure. The Quiet figure sports her entirely impractical bikini/underwear outfit and will include at a rifle, pistol, knife, holsters and a knapsack. Some other accessories are likely to be included as well. Release date and price point have yet to be announced. Square Enix should be releasing that info and a few more photos soon. You can see the pics by reading on.